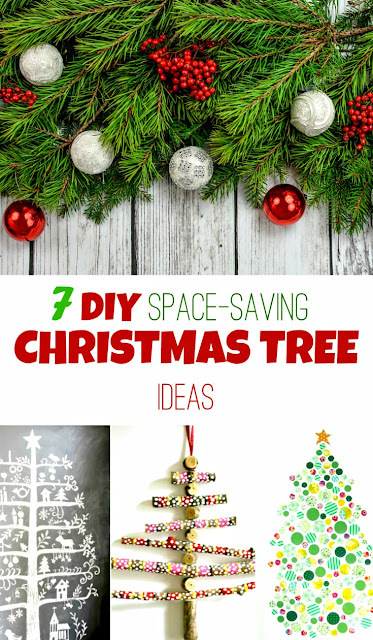 Here are 7 Diy Christmas Tree Ideas for those who live in small spaces. 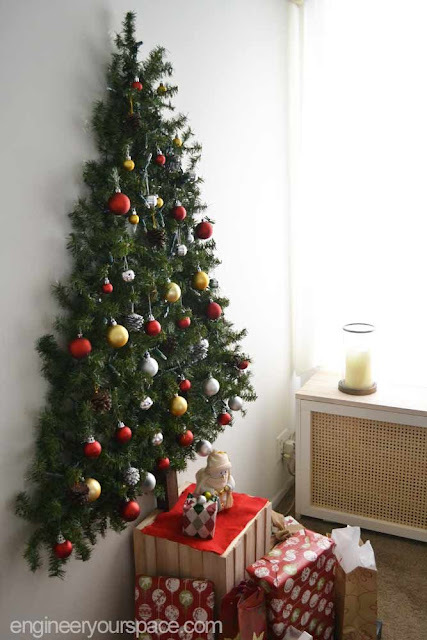 Is your apartment so crowded that even a small Christmas tree would hardly find an empty corner in your apartment? Don't worry, there are plenty versions that will take up nearly no space. 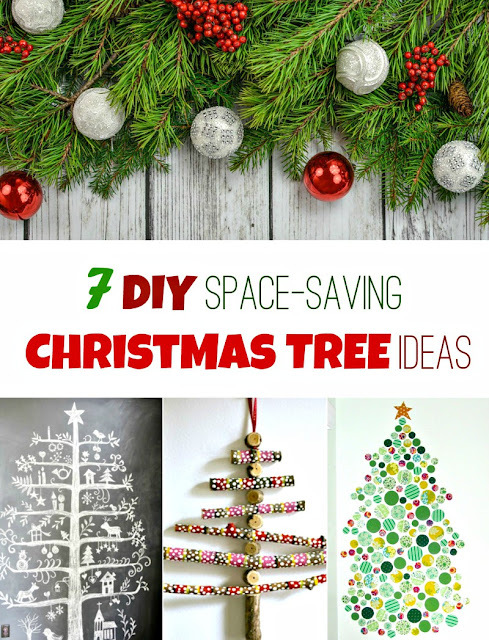 These DIY small Christmas trees are easy and quick to make - check them out. People say the best DIY ideas come to your mind when you're in lack of resources - money, space or time. Here are 7 unconventional Christmas trees you might not have seen before. They are perfect for small spaces, yet not those notoriously famous ones. I chose several low-cost DIYs that are not on the front covers of every single magazine's Christmas edition, hoping to bring you something less conventional. Did I do well? First off, here's one for all fabric lovers (me too!) 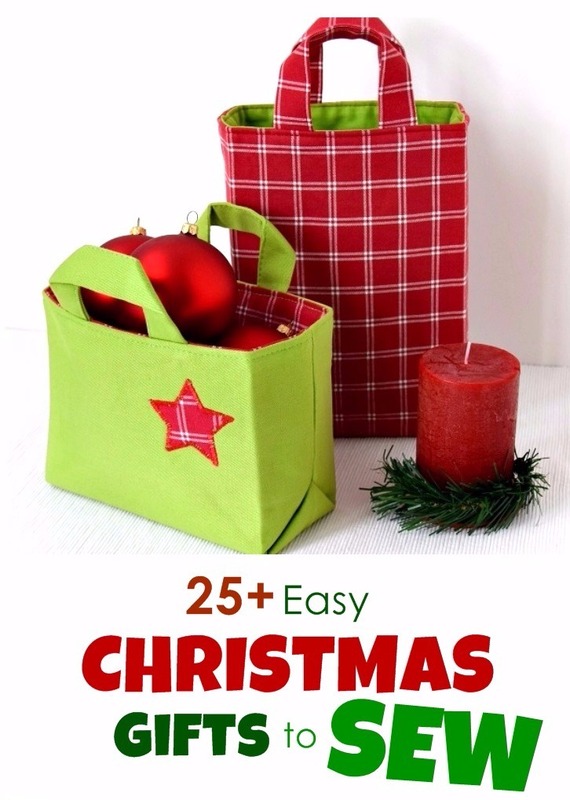 You can use fabric scraps! Cut and starch them and attach to the wall. 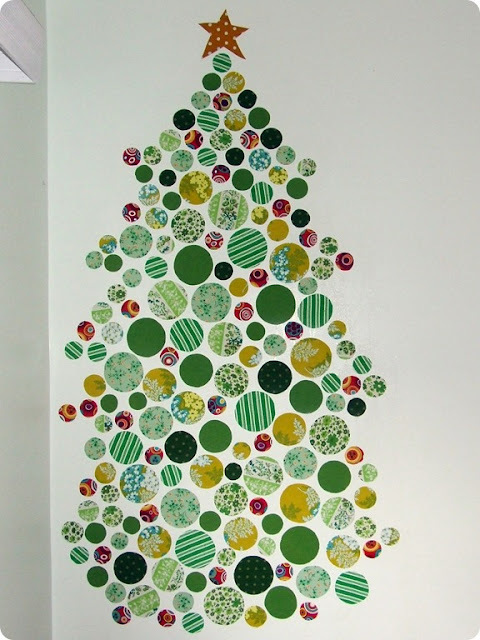 You get a lovely Christmas tree made of fabric - just like Vic did at Punky & Me. Super cute! DIY wall mounted Christmas tree with pine garlands - perfect for small apartments! you'll find the idea and how-to at Engineer Your Space. 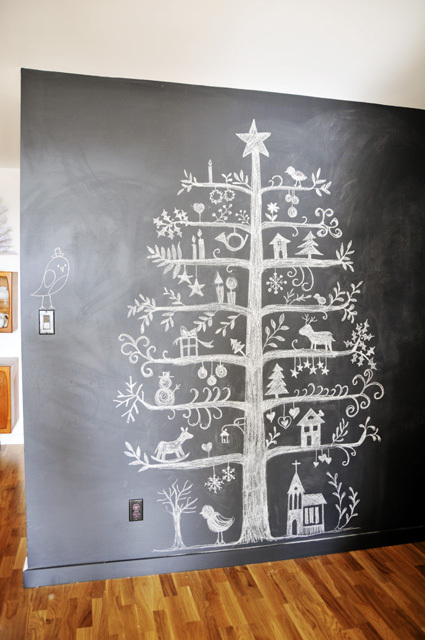 Or, and this one is one of my favorites, you can use a chalkboard painted wall to draw a wonderful Christmas tree, like Hazel at A Legg Up did. Adorable! 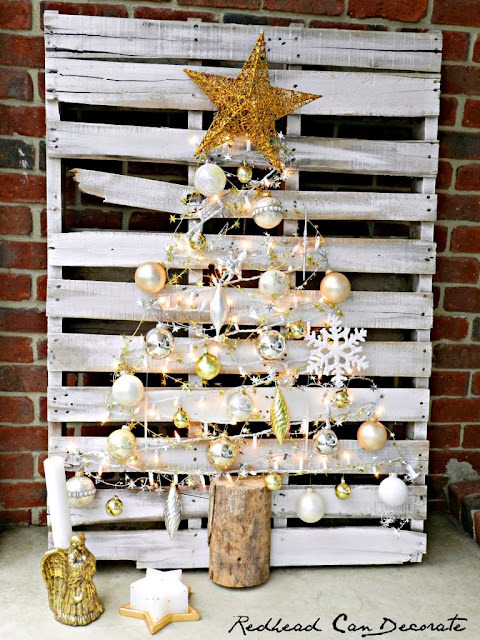 Julie at Redhead can decorate upcycled an old pallet to DIY a gorgeous Christmas tree. She has a clever DIY tutorial on her site. 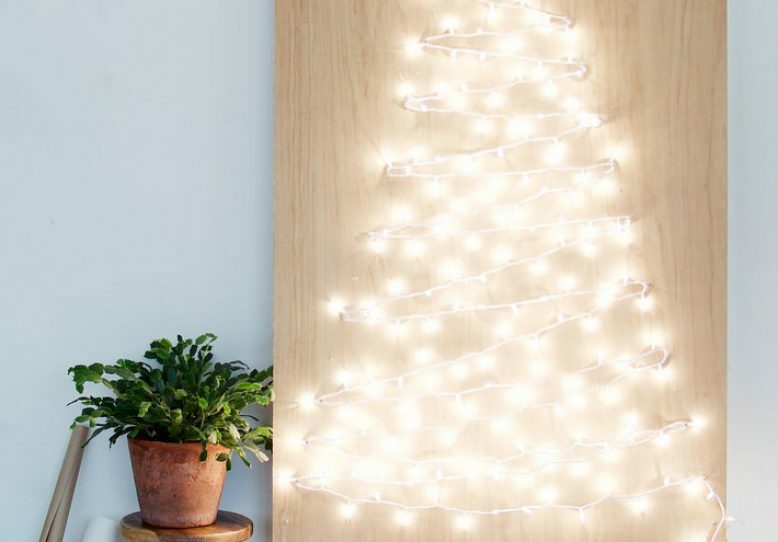 As basic as it can get: use a string of Christmas lights and make a DIY string-light Christmas tree - love the simplicity and beauty of it! The idea by A Pair And A Spare DIY. 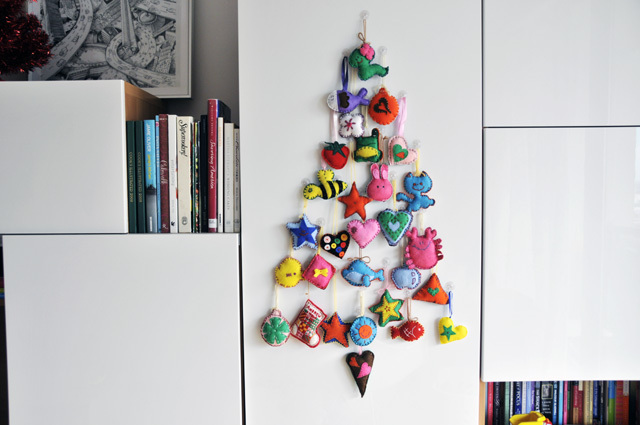 Hazel at A Legg Up used her DIY felt toys and put them on a cupboard door in the form of a fir tree. If you have a child yourself, you still have plenty of time to make your own felt toys - a great and soft and personalized DIY Christmas gift which you two can later arrange on a wall to form a Christmas tree like the one above. A perfect and high-quality family time! Here's a link to my favorite FREE felt toy tutorials. Use them all! 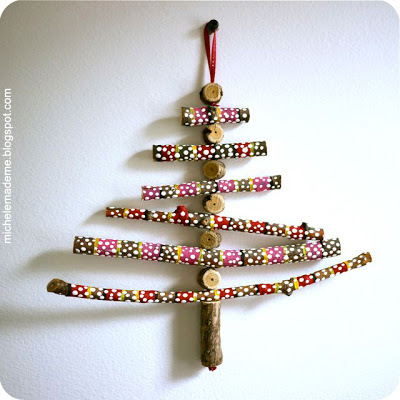 Make a Christmas tree from twigs, like Michele at michele made me did. A little DIY and you've got yourself a beautiful Christmas tree!